Carl always tries to attend a baseball game on Jackie Robinson day. Today he has two scheduled, Garfield High School and University of Washington. UW is playing UCLA, attended by Jackie. Carl called the UW a few months ago and suggested they should make this game a Jackie Robinson game. 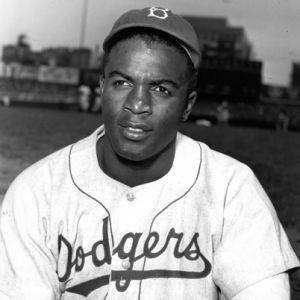 He never heard back, but we looked at the schedule this morning and it is indeed a celebration of Jackie Robinson. Maybe it was already planned, who knows. As for tax day, that has been delayed until April 18th due to the celebration of Emancipation Day today since April 16th is a Saturday. The weather in Seattle is supposed to be nice this weekend. A penalty day for those that put off their taxes until the end. This entry was posted on April 15, 2016 at 7:46 am and is filed under Uncategorized. You can follow any responses to this entry through the RSS 2.0 feed. You can skip to the end and leave a response. Pinging is currently not allowed. My taxes have been done for a while, thankfully. Jackie Robinson was a very good-looking man!